Mephedrone? Never heard of it. Posted on April 25, 2010 | by TRIP! No need to feel too out of the loop, mephedrone has only very recently been showing up in our scene and has been commonly referred to as Max Volume in Toronto. Other names for it have included meow meow, stardust, max volume, MCAT, bubbles or just plain “plant food”. Mephedrone has been a popular drug in the UK for quite some time now and was rated the fourth 4th more popular club drug, lagging behind coke, ecstasy and cannabis. Mephedrone has risen sharply in popularity in the UK because of its low price and availability. The drug was not known to police until approximately three ago, when mephedrone was reportedly linked to the death of two teenagers in several newspapers. It’s important to keep in mind that it was later found that these deaths were not directly linked to use of the drug. So what is it anyway? Mephedrone (4-methylmethcathinone) is a stimulant which is closely chemically related to amphetamines. 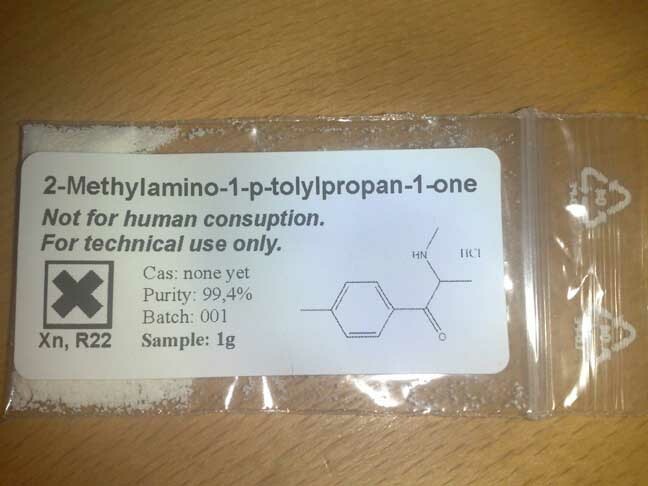 Users have reported that mephedrone produces a similar effect to drugs like amphetamines such as ecstasy and cocaine. Mephedrone is a white, off-white or yellowish powder which is usually snorted, but can also be ingested orally. This means that mephedrone may also be showing up in pressed pills as well as in packed capsules. Mephedrone can also be used as plant fertilizer and was up until recently widely legally sold online under that purpose. Many websites that used to sell it such as plantfood2u.com and plant-food.net are now closed due to upcoming changes in the law which is making mephedrone nearly impossible today to purchase online. Follow MephedroneMan on Twitter for current updates on the the issues surrounding mephedrone. Because mephedrone is still an emerging substance, there isn’t a whole load of literature and research that has been done on it up to date. Even less so on its long term effects. There are, however, a significant amount of user reports. If you have used mephedrone and would like to share your experiences, you can send them here. Other interesting anecdotal information by users can be found here. The onset is generally from 10-20 minutes after consumption and has a duration of 2 to 3 hours, depending on the quality of the drug as well as the user. The comedown is said to last an hour but some users have reported not be able to sleep for some time as well as an uncomfortable heart rate hours after consuming the drug. Similarly to other stimulants, mephedrone has an impact on the heart and some users report heart palpitations and irregular or racing heartbeat which may last for quite some time after taking the drug. Other reported effects have been blurred vision, hot flashes, muscle tension as well as nausea and vomiting. As well as suppressing appetite, some people have reported that their fingers turned blue after taking the drug which may potentially be linked to bad blood circulation. If this happening to you or a friend, discontinue use and seek help immediately. Those who run the greatest risk of potential harm due to the bad blood circulation are those with high blood pressure. As well, using during pregnancy may harm the fetus by restricting blood flow thus resulting in low birth weight and poor development. Like any other drug, you should be careful with what other substances you mix mephedrone with. Another concern is that people have reported compulsively (meaning over and over and over again) taking the drug during a session. Some users have reported only intending to do a bit of mephedrone but unwillingly finishing their entire supply. This can lead to insomnia and heavy use in the long run can lead to psychological dependency, just like any amphetamine! It is recommended that your space out your highs and start off with a low dose. Mephedrone’s legality in Canada is a murky area at the moment and much of the information available about its legal status contradicts itself. To be safe, you should treat mephedrone as an illegal substance when it comes to possession. Remember – new drugs always have a lot of hype around them. Before you make any decisions, be sure you know your sources! Thanks for making us aware of it, I never heard of this drug neither but since it’s so popular I should know few things about it. I think it’s great what you do, you keep people informed of drugs and make them aware of any dangers associated with the drugs. There’s also a relevant resouce for that, I find it educative, it’s http://www.drug-rehab.org and it contains everything one needs to know about drug recovery.